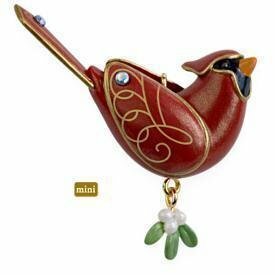 This is a MINI version of the #1 Beauty of the Birds Northern Cardinal ornament. By Edythe Kegrize. 1 1/4"H.
Items Similar To "2009 Hallmark NORTHERN CARDINAL Beauty of Birds Christmas Ornamen..."